Jaguar E-Pace -- BMW X1/X2's most dangerous competitor? 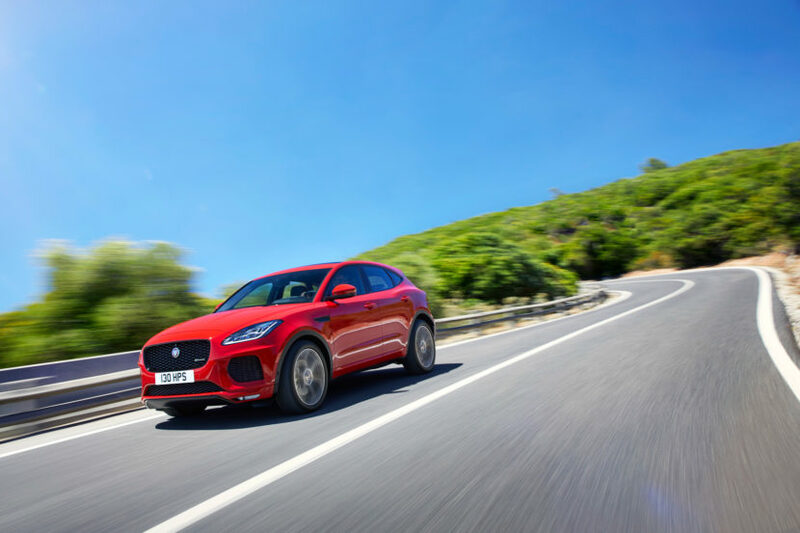 Jaguar E-Pace — BMW X1/X2’s most dangerous competitor? If you were to tell a car enthusiast even ten years ago that Jaguar would make a front-wheel drive, transverse-engine crossover, they’d laugh in your face. The idea of a tiny, front-wheel drive Jaguar crossover is about as blasphemous as the idea of a small, front-drive crossover BMW was. Now, though, Jaguar would be dumb to not make one. With how successful small, inexpensive, premium crossovers are, the Jaguar E-Pace is a car that the Brits simply couldn’t afford to avoid any longer. 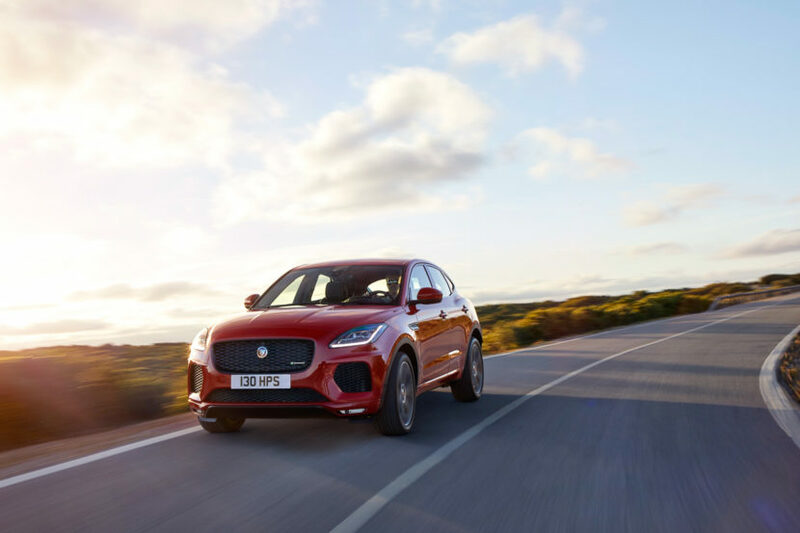 The Jaguar E-Pace enters a segment currently occupied by the Audi Q3, BMW X1/X2, Mercedes-AMG GLA-Class and soon-to-be Volvo XC40. So it’s jumping into crowded waters but it could the most dangerous competitor of all. Firstly, it’s all-new. So Jaguar has had the chance to survey the competition and formulate a proper plan of attack. Secondly, it’s the most sport-oriented car in the segment right out of the gate. This new baby Jag is based on the same architecture as the Range Rover Evoque and Land Rover Discovery Sport. 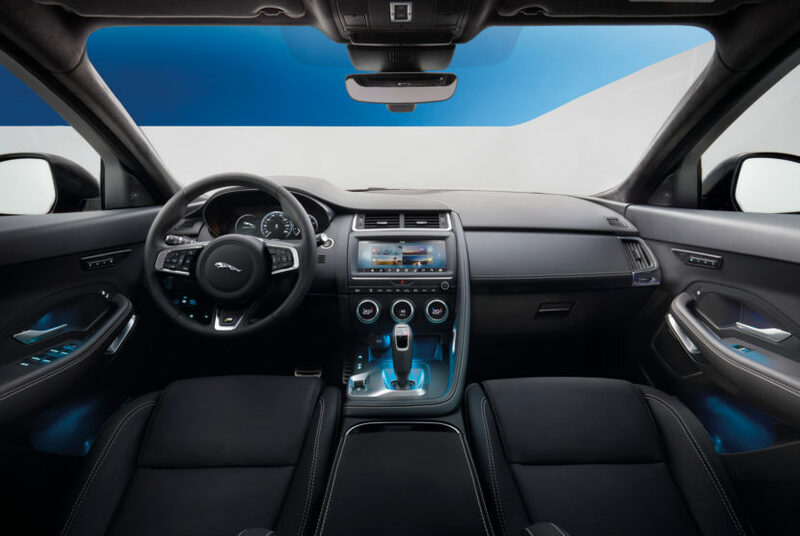 While those two cars are more geared toward off-road performance than on-road performance, Jaguar has gone to extensive lengths to drastically change the nature of this new E-Pace. For instance, Jag lightened the E-Pace over the Evoque, by replacing a lot of steel bits with aluminum ones. So the hood, front fenders and roof panel are all made from aluminum, rather than steel. The E-Pace also packs significantly different suspension than the Disco Sport or Evoque. It’s actually mostly the rear suspension that’s completely different on the E-Pace. It features the same sort of rear setup as the Jaguar XE, which features the brand’s signature integral link. So not only does it feel more planted and secure while also being more comfortable but it also provides more rear cargo and passenger space, as there aren’t any rear struts. Under the hood, there will only be a choice of different four-cylinder engines. Globally, there will be petrol and diesel four-pots. In America, only a choice of two different petrol engines. All of which will only displace 2.0 liter and pack turbochargers and all will be mated to a nine-speed ZF-sourced automatic gearbox. 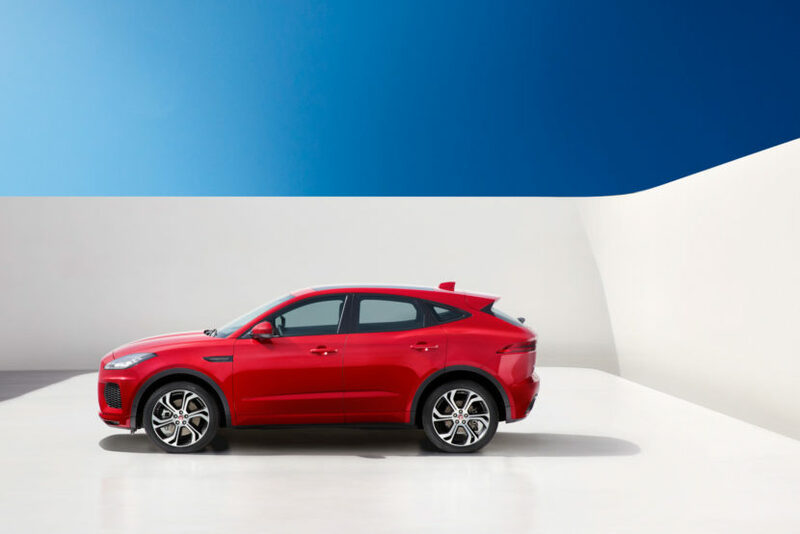 In America, the Jaguar E-Pace S and SE will come with a 246 hp and 269 lb-ft turbo-four, which can get the little Jag from 0-60 mph in 6.6 seconds. There will also be a Jaguar E-Pace R-Dynamics variant that uses a 296 hp and 295 lb-ft turbo-four that can do the 0-60 mph sprint in 5.9 seconds. To be honest, it doesn’t seem like the extra seven tenths of the R-Dynamics are worth the extra price. According to some first-drive reviews, the 2.0 liter turbo-four, in either trim, is a good motor with good power but it’s not the smoothest. Its nine-speed auto ‘box is also good at swapping cogs, whether in automatic mode or shifting yourself via the paddles. In terms of driving dynamics, the Jaguar E-Pace is said to be fun and dynamic, far more so than the Disco Sport it shares a platform with. There are two different all-wheel drive setups available (front-drive is standard), with a pretty standard all-wheel drive system in the regular E-Pace and “Active Driveline” all-wheel drive system, which can shift 100 percent of the power to the rear wheels. From what we’re hearing, the Jaguar E-Pace has that typical Jaguar blend of dynamics and smoothness. Which makes it quite dangerous to the rest of the competition, which prioritize comfort, practicality and spaciousness. The BMW X1/X2 are fun cars but the Jaguar E-Pace could very much challenge them for the most fun car in the segment. Previous post Should you buy the E39 BMW 540i over the E39 M5?